Travel lane restrictions along the Delaware River Joint Toll Bridge Commission's 6.5-mile-long I-78 roadway segment in Pennsylvania and New Jersey have resumed. Work activities on the agency's I-78 Bridges and Approach Slabs Rehabilitation Project have largely been on hiatus since the start of winter in late December. The project entails bridge approach slab replacements at eight approach structures (relatively short-distance overpass/underpass type bridges), cleaning and painting at six approach and overpass structures, and an assortment of other tasks, including restriping the Commission's entire I-78 roadway segment. Work is expected to be completed this autumn. The first significant project work activity for 2018 involved saw-cutting of concrete approach slabs along I-78 westbound at the I-78 Toll Bridge and the approach bridge that carries I-78 across PA Route 611 on the Pennsylvania side of the toll bridge. To do this work, the affected portions of I-78 westbound were reduced to a single-lane travel configuration during overnight hours on March 14 and 15. The saw-cutting work was in preparation for more intensified work that was expected to be conducted at the two I-78 westbound locations the following weekend, which required an uninterrupted 57-hour-long single-lane travel configuration from 10 p.m. March 16 to 7 a.m. March 19. Seven additional continuous, weekend-long, single-lane restricted travel periods are expected to be implemented this spring (except Easter weekend) to allow for completion of I-78 slab replacement work at the toll bridge, the approach bridge across PA Route 611 and for later slab replacements in the area of the approach bridges across County Route 519 in Pohatcong, N.J., and an on-ramp to I-78 eastbound at the interchange for Routes 22 and 173 (exit 3) outside Phillipsburg, N.J. The Commission plans to issue further periodic travel alerts to advise motorists of scheduled project-related travel restrictions as construction activities continue this year. The NJ511 travel alert system also will be utilized as warranted to advise motorists of construction-related lane closures. The Commission's I-78 Toll Bridge and flanking I-78 approach segments are the most heavily used facilities in the Commission's 20 bridge system. The bridge carried 24.7 million vehicles in 2017. The I-78 Toll Bridge opened to traffic Nov. 21, 1989. 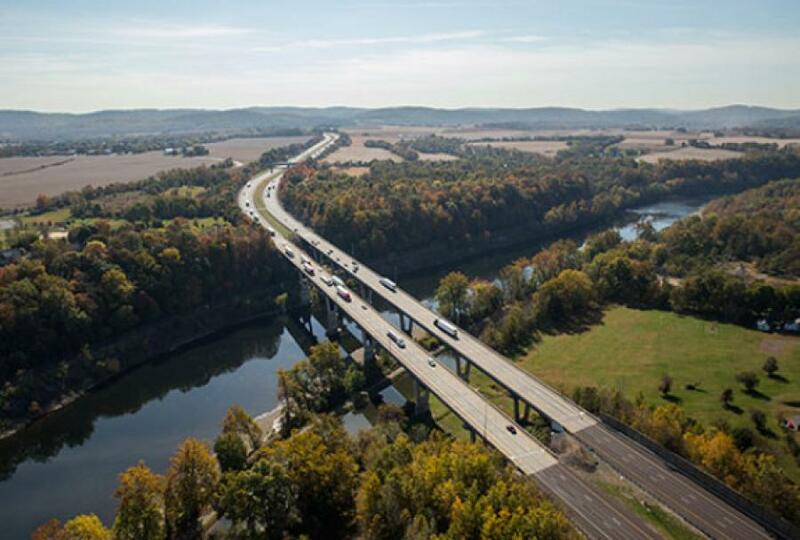 The Commission's jurisdiction includes the 1,222-foot-long twin seven-span river bridge, 2.25 miles of I-78 roadway in Pennsylvania and 4.2 miles of I-78 roadway in New Jersey. The Commission also owns and maintains 11 approach and overpass structures along this busy highway segment. The Delaware River Joint Toll Bridge Commission was formed by the Commonwealth of Pennsylvania and the State of New Jersey in 1934. It operates seven toll bridges and 13 toll-supported bridges, two of which are pedestrian-only spans. The Commission is a self-supporting public-service agency that receives neither federal nor state tax dollars to finance its projects or operations. Funding for the operations, maintenance and upkeep of its bridges and related transportation facilities is solely derived from revenues collected at its toll bridges. The Commission's jurisdiction extends along the Delaware River from the Philadelphia-Bucks County line north to the New Jersey/New York border. The bridges carried more than 143.8 million cars and trucks in 2017. For more information, visit www.drjtbc.org.